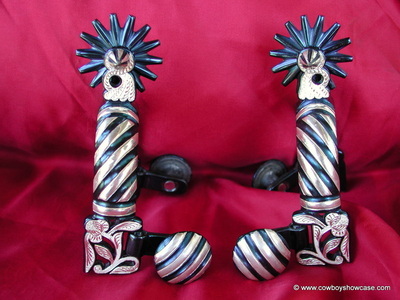 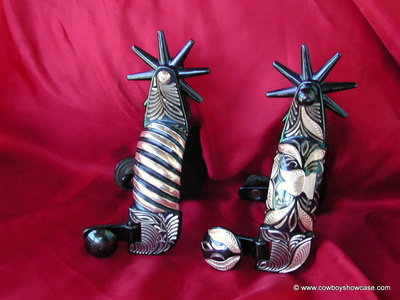 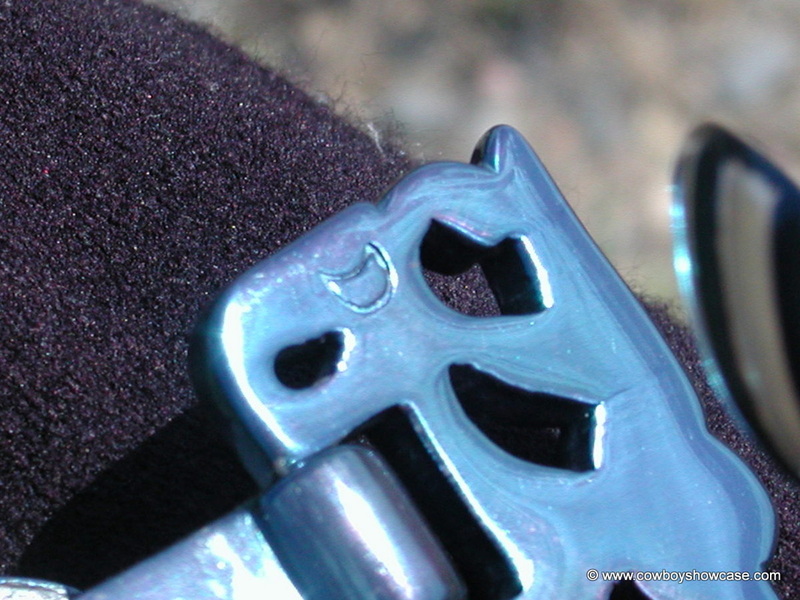 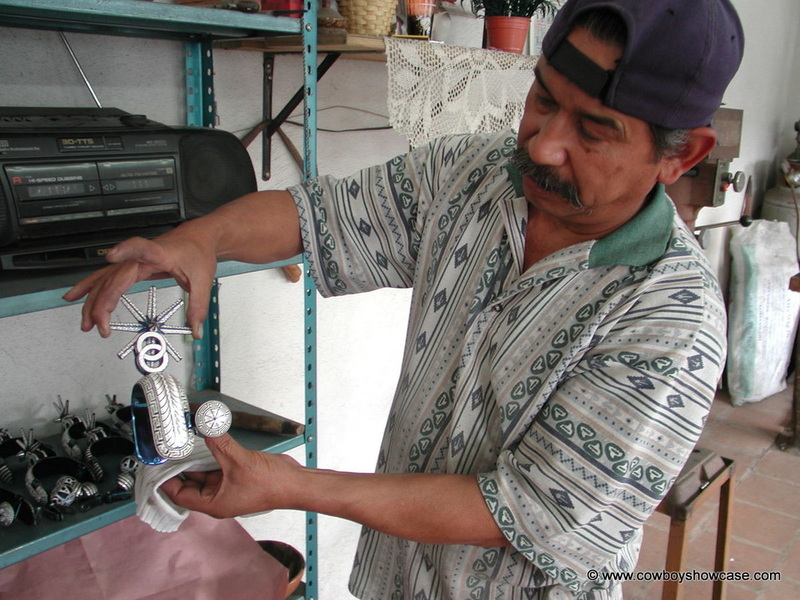 Pictured here are contemporary spurs made in Amozoc, Mexico by the artisans of Casa Luna. 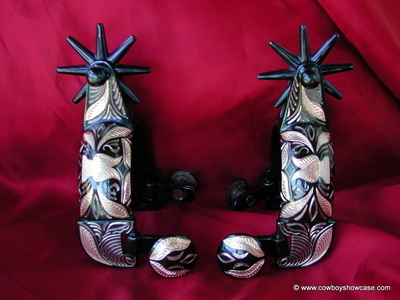 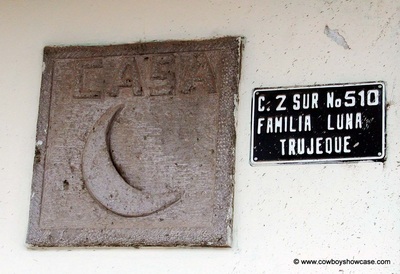 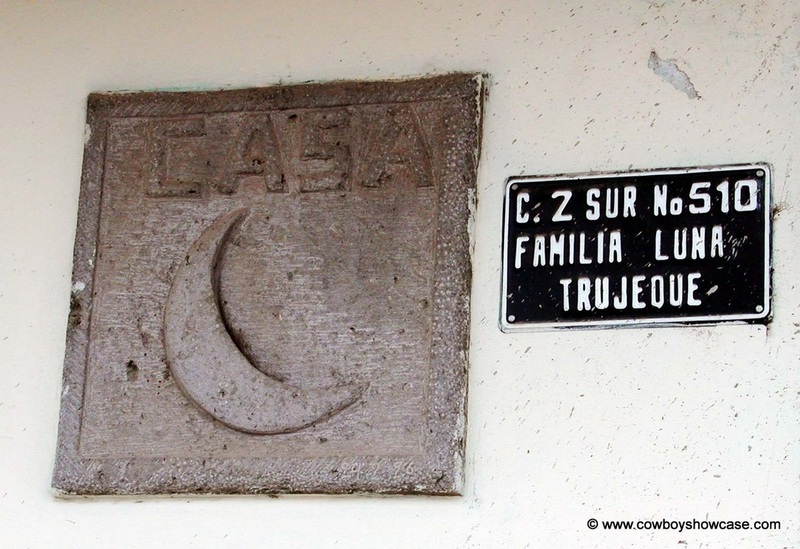 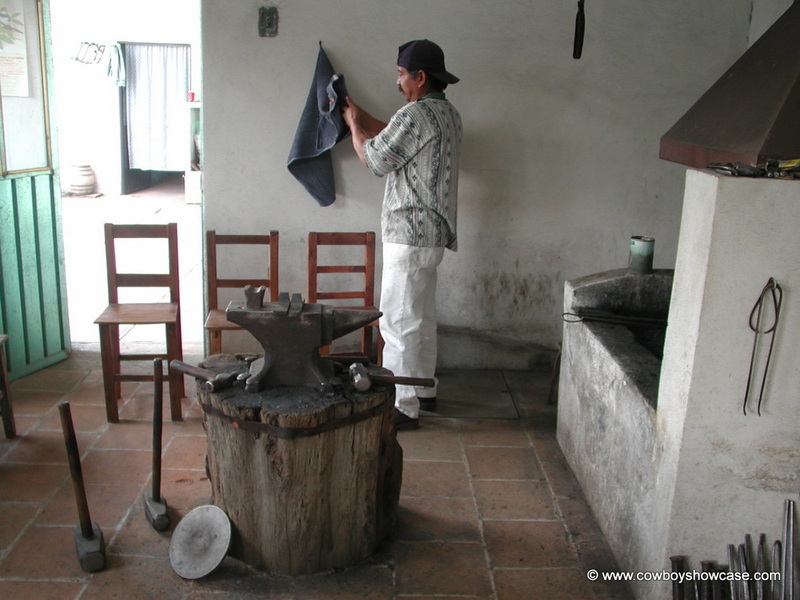 Spurs were made by this family for three hundred years. 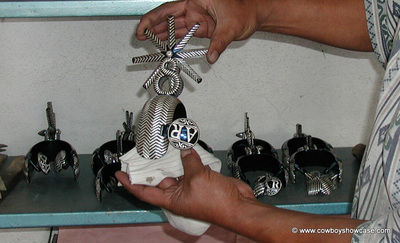 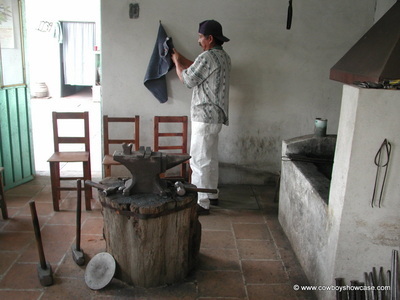 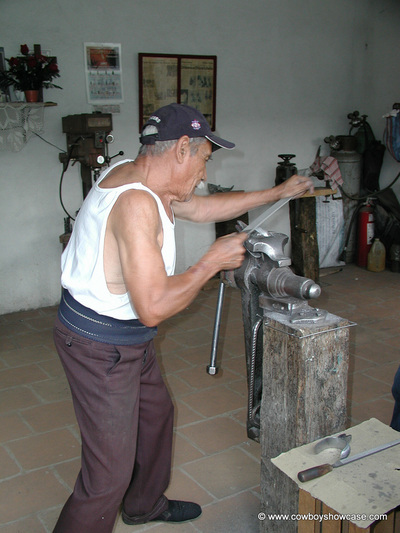 Father and son, Meliton and Juan Luna, artisans in silver at work in their shop.